Rent Roll Valuations. Expert Valuations of Rent Rolls Australia Wide. How are Rent Roll Valuations prepared? Although there is no "one size fits all" method for determining rent roll valuations, the actual valuation process is very well defined. The annual management fees are applied to a Rent Roll Multiplier (RRM). When you consider that quite often in the world of real estate, it is the rent roll that is the significanr part of the value in the business, it is crucial that the rent roll valuation is corectly perpared. Annual management income is the total income from management fees and rent collection excluding GST, for a period of twelve (12) months, for each property. The ancillary fees (i.e. advertising fees, administration fees, inspection fees, re-letting fees) are omitted. The Rent Role Multiplier is derived from a number of factors affects the rent-roll. For instance, although the ancillary fees are not included in the overall management income, they do have a bearing on the Rent Roll Multiplier. 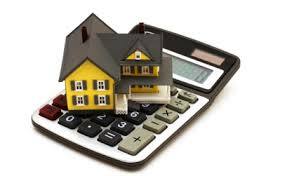 Rent Roll Valuations and Valuing Rent Rolls can be a very extensive process. If you are thinking of selling a rent roll or would like to discuss the possibility of obtaining a rent roll valuation, contacting us for a confidential discussion is the first step to obtain a professional valuation of your portfolio. Business Reports and Values can provide you with a comprehensive rent roll valuation at a very competitive price. We have the qualifications and experience to provide a quality valuation report for any requirement. Do you Need a Rent Roll Valuation?